The case of Aasya who has been sentenced to death under blasphemy laws exposes the real blasphemy that is taking place under our very own eyes and it may not be what you think. This is an important point that we must think about. If denying the prophet hood is punishable by death, then must that mean that all Muslims are actually under penalty of death, does it not? If you accept the prophet hood then you are Muslim according to Shahadah. But putting to death anyone who is not Muslim, even putting to death anyone just for denying the prophet hood of Prophet Muhammad (PBUH) is against Sunnah! It was the prophet himself who established Dastur al-Medina was it not? This was the prophet himself establishing the law that did not require death to any Jew or Christian but gave them their own rights to co-exist peacefully. Also, does not the Qur’an also refuse the idea of killing non-Muslims simply for their beliefs? At the recent PR seminar, Dr. Zaheer mentioned that even though there are several mentions of blasphemy committed by the polytheists of Makkah and hypocrites of Madinah against Islam and its Prophet (PBUH), no worldly punishment has even been hinted at in the Qur’an. Instead, the Qur’an urges Muslims to ignore what the blasphemers were doing, to not participate when they blaspheme, and create circumstances that do not allow blasphemy to take place. Dr. Zaheer pointed out that Muslims must apologise to non-Muslims for the unwarranted crimes in the past committed against them in the name of religion to ease tensions. He stated that Muslims should condemn, or at least not hold those individuals as their heroes, who murdered non-Muslims accused of blasphemy because they become inspirational to the youth of the community. 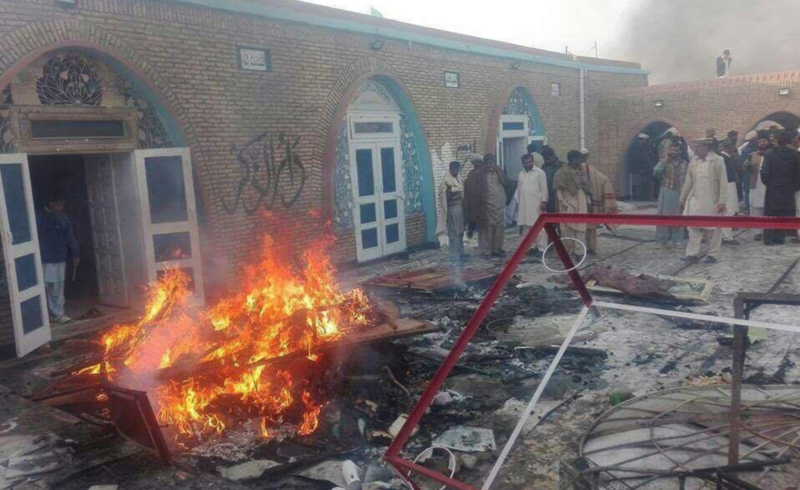 We witnessed a terrible mass killing of Christians only one year earlier in Gojra which was also originally justified by blasphemy laws only to learn after investigation that the claims were false. This is what has caused Human Rights Commission Pakistan (HRCP) to declare that the laws should be abolished. ‘It’s an arbitrary law, which has been badly misused by extremists and influentials and should be abolished,’ said Iqbal Haider, co-chairman of the independent Human Rights Commission of Pakistan (HRCP). ‘There is no option but to abolish this law. More than that, the government should revive the secular nature of the state as our founder Mohammad Ali Jinnah envisaged, otherwise it will aggravate religious unrest,’ he said. This is not Islam that justifies such killings. It is only evil that can justify such an act. 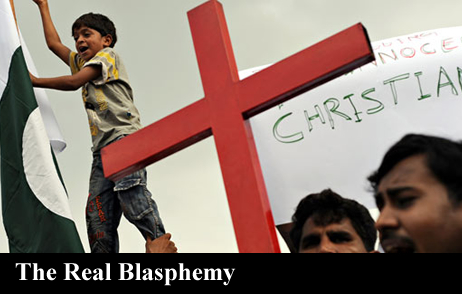 We must stop giving killers some excuse by providing the justification of blasphemy laws. This is a left over from the rule of Zia-ul-Haq which was not Islamic but a cynical exploitation of religion as attempt to control the people for his own agenda. Some people say that the laws cannot be revisited now because it will cause extremists to commit violence as a backlash. But I hate to be the one to tell the news that extremists are already attacking this country. You cannot eliminate the menace of extremism by giving in to their demands. By building a society of tolerance and peace as envisioned by Quaid-i-Azam Muhammad Ali Jinnah and before him Prophet Muhammad (PBUH). Only then will this madness come to end.